10 YEARS ago in March 2009, Dumfries woman Jean Hanlon/Porter was found dead whilst on holiday in Greece, it was alleged that she had died by accidental drowning. Due to her terrible injuries her family did not beleive that Jean had died by simply drowning. The case was greatly publicised in the press and media at the time. But 10 years on her family still feel that there are many unanswered questions and inconsistencies that have not been fully investigated and they have launched a petition in the hope to raise enough awareness to have their mothers case re-opened. Jeans son Michael James Porter spoke to DGWGO News in a recent interview – Michael Said “My mum, Jean Hanlon/Porter, a born and bred Doonhamer, disappeared on Monday 9 March 2009 and her bruised and battered body was pulled from Heraklion Harbour on Friday 13 March 2009. My brothers and I flew out to Crete and were taken straight to the morgue where we had to identify her scarcely recognisable body. We were told that the initial post mortem had decreed that her death was an accidental drowning, however after seeing her horrific numerous injuries, we realised that this conclusion was incorrect and this was backed up by information we had been told leading up to her disappearance. Michael continued “On a personal level, my family know that there was no secondary post mortem done, so we strongly feel that this information was always there but not disclosed. We also believe that the Greek authorities just wanted to dismiss the case as an accident to avoid adverse publicity for the forthcoming summer season and this omission probably led to important evidence being overlooked and/or discarded. 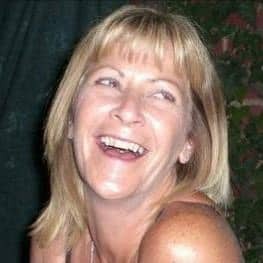 As 2019 marks the 10th Anniversary of Mum’s death, I have put together a memorial video which showcases the highs and lows we have experienced and it also reiterates my heartfelt gratitude to everyone who has helped and supported us over the past 10 years.